Incorporate these three behaviors into your everyday routine to build better relationships at work. 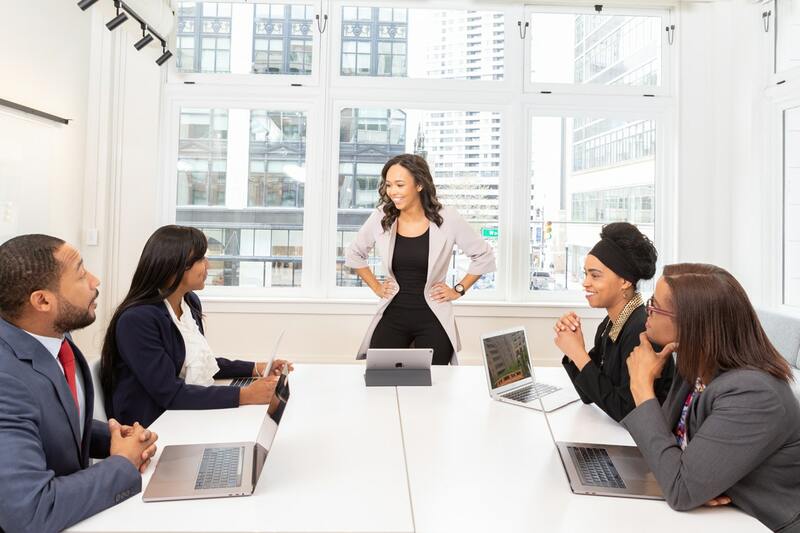 Effective business leaders possess many common denominators, but in the current culture of automation, the ability to connect on a human level is what truly sets great leaders apart. One analysis discovered that leaders who can develop positive work relationships not only drive better employee engagement and retention, but also motivate their employees to go above and beyond. In the past, most businesses were very hierarchical in nature. Success was measured by an ability to perform the specific functions of your role, whether you were at the peak or the base of the pyramid. Sure, these traits still matter to some extent, but most modern organizations want more — from leaders and employees. It’s why the best leaders don’t simply shout out orders and why companies aren’t just looking for employees who excel at doing what they’re told. We know those rigid behaviors stifle innovation. Conduct a quick job search, and you’ll probably notice that companies typically describe their work environments as “fast-paced,” their teams as “tight-knit,” and their ideal candidates as “self-motivated.” Well, leading tight-knit teams of self-motivated employees in a fast-paced business environment takes a willingness to be part of the team — to be the cornerstone of the team, even — and to rely on other people’s expertise and judgment when necessary. That’s why leading is hard: It takes talent but also a high level of social skill. Whether you’re currently a leader or aspiring to be one, here are some key behaviors that you should cultivate now to strengthen your own professional relationships. When you show your team members that you’re vulnerable, you’re not displaying weakness but are reminding them your colleagues that they’re fundamental to your success. In contrast, attempting to hide your vulnerabilities will inevitably prove exhausting and alienate those around you. They already know you’re not perfect — no one is. 2. Give praise instead of seeking it. Authentic praise is a great motivator. Studies show that employees who get regular praise and recognition work harder, perform better, and stay at their current companies longer. Authentic praise often takes the form of positive, specific, and constructive feedback. When giving authentic praise, draw attention to your coworkers’ achievements and how an individual adds value to the group. Conversely, avoid dishing out praise to everyone all the time; others will perceive it as a disingenuous tactic to get people to like you. This diminishes the value of your positive feedback and sends mixed messages. Instead, express your gratitude when someone takes on a big challenge or works outside of his or her job description to help the team. If you’re specific and sincere with your accolades, they’ll matter more. 3. Listen more and talk less. Modern leaders must wear a lot of hats, which makes it hard to be present and focused on the task or conversation at hand. We’ve all been involved in discussions where we hear other people speak but aren’t fully listening. Rather than thinking about what they’re saying, we’re thinking about everything we need to get done before tomorrow. But when we do this, we waste everyone’s time because, more than likely, the conversation will have to happen again. When you have a lot on your plate, you need to be even more attentive to your surroundings. Resist the urge to tune others out. During conversations, summarize what you just heard to ensure you are accurately understanding what individuals are trying to convey. By being in the present, you’ll be better able to read colleagues’ emotions and better equipped to respond appropriately. In doing so, you’ll not only forge stronger connections with the people you rely on, but you’ll be able to use their insights to make better business decisions. Modern leaders are made, not born. They invest plenty of time into studying and improving the ways they interact with others because they know that every interaction matters. They pay attention to their behaviors because they know they’ll be observed and analyzed. Most importantly, today’s top leaders know that they can’t accomplish anything alone. Emphasize building strong relationships with the people who matter most. Don't Have the Traditional Leadership Qualities? That Doesn't Mean You Weren't Meant to Lead.